Two men were injured Tuesday afternoon in an accident involving two semi trucks that resulted in a chemical spill about 2.5 miles west of Garden City on U.S. Highway 50. Eric Wilhelm Sandberg, 57, of Spanish Fort, Ala., was stopped in an International semi truck on U.S. 50 at about 12:10 p.m. He was stopped near mile marker 63 in the second lane at a railroad crossing. 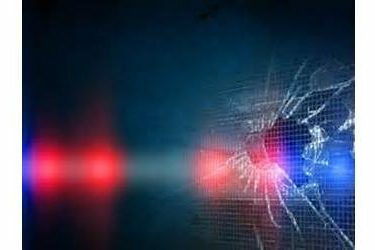 He was beginning to head westbound when Michael James Martinez, 57, of Hugoton, who was also driving an International semi truck westbound in the second lane, rear-ended Sandberg’s semi about 200 feet west of the railroad tracks, according to the Kansas Highway Patrol. Martinez and Sandberg were transported to St. Catherine Hospital, where they were treated and released. Both men were wearing seat belts, according to the KHP. KHP Technical Trooper Michael Racy said the accident involved a spill of sulfuric acid, which was quickly cleaned up by the Garden City Fire Department. Racy said the westbound lane of U.S. 50 near Anderson Road will remain closed until Wednesday, unless an improvised lane can be opened up for travel. While the spill itself did not take long to clean, the remaining sulfuric acid in the damaged truck must be transferred to another specialized truck that can deliver it to its destination in Pueblo, Colo., Racy said.